Highly accomplished with skills right across-the-board: the former face of travel on ITV’s Daybreak, Helen Austin is an award-winning radio, online and TV presenter with an upbeat, likeable style. Helen’s buoyant delivery makes her a great choice for entertainment and lifestyle broadcasts. She’s held the mic at junkets and premieres to an all-star cast featuring Samuel L. Jackson, Daniel Craig, Jack Black, Anne Hathaway, Tinie Tempah and One Direction. Skills sweep right across the board: Helen’s scripted, voiced, edited and packaged news and showbiz content for an array of media clients. She spent a year as News and Entertainment Reporter for ITN Productions and two years as travel reporter for Daybreak covering major events like the Royal Wedding and the London 2012 Olympics. Live or pre-recorded; TV, radio or online, there’s a vibrancy to Helen’s expression that instantly engages and she has the ability to tailor her delivery to connect with the audience. 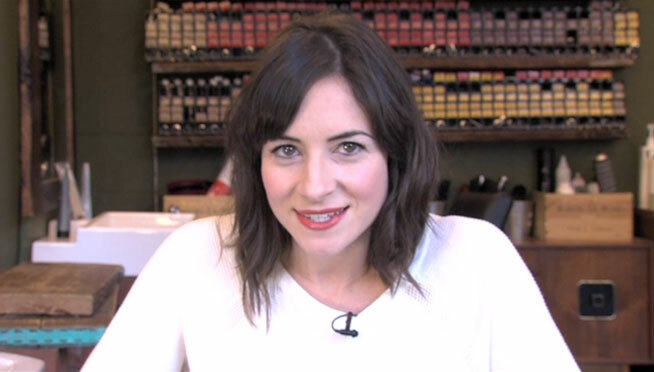 Based in London, presenter Helen is available for broadcasts across the UK. Helen is a truly versatile female presenter with stacks of experience across a host of mediums. Her penchant lies with entertainment, lifestyle, documentary and relationship features. Need a presenting job doing? Consider it done! Upbeat, engaging, sincere, cool, sassy, edgy, clear, friendly, authoritative, neutral, likeable, believable, informed, intelligent. Live broadcasts, pre-recorded broadcasts, TV presenting, radio presenting, online presenting, podcasts, scripting, voiceover, editing, news packaging, green screen, autocue, talk to time. Showbiz content, celebrity interviews, travel news presenting, online news bulletins, shopping channel presenter, corporate films.